The Division for Academic Excellence (DAE) is committed to ensuring that the state superintendent’s vision of every student becoming college and career ready becomes a reality for Wisconsin’s children. Our sole purpose is to increase the success of Wisconsin school children—whether that is through licensing and training the teachers, supporting the curriculum, or making sure our schools are treating children fairly. Our division provides leadership and professional development regarding curriculum development, academic and technical skills standards, and instructional methods and strategies, as well as professional learning and support to a variety of content area educators. A service orientation and culturally responsive view guide the teams’ work to provide technical assistance to educators, parents, community, and professional organizations. provides leadership, professional development and assistance for development and implementation of academic and occupational skills standards, curriculum, instructional strategies, and assessment. The DAE also directs youth and course options, education for employment, academic and career planning, the career and technical student organizations, and administers the high school equivalency/general educational development (HSED/GED) program for state residents who have not completed high school. Our division reviews and approves educator preparation programs and licenses teachers, pupil services personnel, and administrators. We continue to lead the effort to implement a statewide educator effectiveness system, where all educators will be evaluated based upon multiple measures. This complex system factors in educator practice and student performance in providing feedback to educators around their strengths and areas for improvement. Additionally, we provide technical assistance and resources for educators to support their continued professional growth. 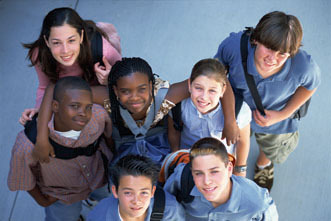 To ensure the best possible college and career ready outcomes for students, our division processes waiver requests and monitors school district compliance with statutory and administrative code requirements, including Office of Civil Rights compliance; we administer federal programs that provide assistance for world languages, advanced placement, and alternative education. We administer funds for school districts under the Carl D. Perkins Career and Technical Education Act of 2006 to enhance and improve career and technical educational programs. The DAE also administers part of the state and federally funded Bilingual/English as a Second Language Program. We also administer a variety of programs that provide assistance and grants to public school students and teachers on the basis of merit and need, as well as consultation and leadership for multicultural education.